Admit it. It’s a love or hate affair when it comes to fishing in grass. Fishing grass can either net you very rewarding results or can absolutely frustrate you to no end. But it’s in grass that sometimes big bass can be reeled in. All it takes is some knowledge, not only on where to pick your spot, but also on how you can coax that bass out of hiding. Strategy and analysis plays a key role on how you can catch that big fish. Here are some key points that should guide you. 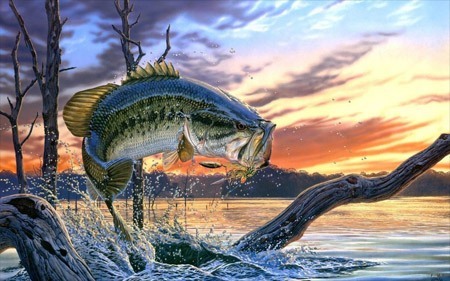 During spring, the bottom can be too murky for the bass to catch their prey and therefore some bass usually hang out on the edges of the grass-bed. On the other hand, in the summer, when the bottom gets dried up and the water around grass gets a bit clearer, bass usually get under the grass where it’s cooler and darker for them to feed. Use a worm/jig during these times. Bass also situate themselves on the outer edges of the grass during fall. The fish move a little shallower and come out deeper due to the fluctuations in water temperature. More importantly, it also pays to consider the type of line and bait you use if you want to catch some bass hiding in grass. There are certain kinds of baits that are a better fit than others for these types of conditions. Your favorite bait might not work so you should consider what would be effective for penetrating the grass-bed to get down to the fish below. A weedless Spinbait can be a good option when the grass is shorter and more submerged. Try a heavier flipping rod and a spincast fishing reel for surprising results. As the water starts to warm up, you will need to coax the fish that has delved their way inside the edges of the grass. To do this, you can put out your Spinbait so that the bass will bite. And when the grass totally gets thickened or is matted, consider using a heavier bait so that it can punch through quicker. Now as for your line, going with braided fishing line is a good option since braid gets masked when seen together with grass. And of course, braid has zero stretch, so you are assured that your lure moves right away when you move the rod or handle. When you need to do flipping or pitching, braid can also go in easily through the grass. However, if you are going to pitch a stickbait in open water, go with fluorocarbon. It’s a sturdy line that is thin enough to be transparent when in the water. It also has low stretch and high abrasion resistance. Go for Gamma, since this is a good and supple fluorocarbon line. Fishing in grass doesn’t necessarily require that you need a big heavy fishing rod. Oxygenation: The Greener the Grass, The better the Fish. There’s also another type of identification for grass that can help you decide where you’d want to situate yourself for grass fishing. 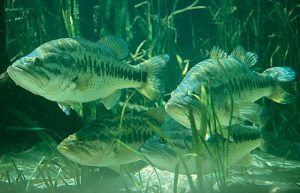 Bass prefer vegetation that is greener. The reason for this is simple biology. Aquatic vegetation provides more oxygenation to the species around it. Aquatic plants produce oxygen through photosynthesis, which is the process by which plants inhale carbon dioxide and exhale oxygen. Since bass’ prey also thrive on waters with higher levels of oxygen, you can also find bass there. Although you can still find fish in muddier areas, more fish thrive in clearer waters with greener grass. A well-oxygenated area also would mean a healthier and larger population of fish. Typical Grass Bed found when Fishing for Bass. What kind of Grass to Look for? One thing that also confuses anglers who have no experience with grass fishing is that plants need to be identified by their names. Identifying aquatic grass or vegetation if it is a hyacinth, lily pads, or pencil reed does not matter. What matters is the form of the grass. Grasses that form canopies over the bass would tell you that the fish will be situating themselves under the grass’. Lures or baits that provide a punch action would work best in this environment. Having a weighted bait would give a heavier fall that could punch through the mats in a canopy. When you find this type of grass, idle your way around it and avoid straight ledges in the river or lake. Bass can usually be found grouped up in the irregularities found around these beds. As for grasses that are reed-like or grasses that stick together, bass usually go around the edges or even over the areas of these plants. You should target or approach this grass by noting points, pockets, clumps and other irregularities that you may find. Working your bait around these irregularities will typically result in a hookup. Take chances on both large holes and small holes since bass usually prefer the areas underneath. Spotting greener grass or having the perfect bait does not guarantee of a good catch right away. When there is a lot of grass in the area, what you need to do is to troll and use a good moving bait such as a swim jig or spinnerbait to cast at the bass. Once you get and feel a bite, you need to watch out for other bites in the area. Why? Bass go in schools. And this is especially true if they’re hiding under cover. Don’t settle for the first bite. Cast around in that area again and see if you can find another bite. If you do, that means that you are most likely in an area where there is a school of bass. To lure them in, use a weedless Spinbait that can easily go through, or other baits that can just go over the top of the area. Going for a longer rod would also be helpful since you want to have the farthest reach possible when you do your flips and pitches. The trick also to never stop moving is to not give up on a waypoint that had a good number of bites. There will be instances where, despite having bites in the area, some bass will not be caught. You can leave and go back to this area. It all boils down to how you can get the timing. While there is no specific science that can explain, bass behavior varies according to different factors such as time of day, levels of light penetration, or even fishing pressure. Stay on top of the school of fish that you just found. There are a couple of techniques that you could do to get the bass. To get the catch, you could try for the reactionary bite. When you startle them with your bait, they usually take it up out of instinct. You can achieve this by going for a heavier fall, probably going for a weightier jig or plastic. Or, you could also go for moving your bait fast or having it change direction unexpectedly which you can achieve with using jerkbaits. Bass can also go for defensive bites if they are defending their territory. Bass are a very protective and territorial species of fish. When they see something that irritates them or they feel is actually a threat to their position, they will usually go in and attack. The problem with going for this is that you need a certain level of patience before you can see the result. Repetition is key. The lure doesn’t matter. What matters is your ability to repeatedly go in and move the bait around the area of the fish. This works if the school of bass you are trying to catch has already settled in deeper waters. As you walk the bait around the area they are burrowing, there will be a higher chance that you’ll get a strike. Perhaps the easiest way that you can catch bass would be if you time the fall during their feeding time. Choosing a lure that would imitate or be close to what they are feeding on will yield a more successful catch. Once you get a strike, it is important to hold your rod firmly and keep the line tight. Why do some bass school, while others don’t? Bass associate their sizes with the school that they are in. When a bass gets larger than the other fish in the school, there is a big chance that this bass would disassociate and stay more in deeper water, even preferring never leaving the place or area that they are inhabiting. They are known to be territorial. This is the reason why once you get multiple bites in an area, you should stay there. Once you find schooling bass, decide if the size your catching are worth the effort your putting in. If so, stick around and slay them. If not, move on and find a more productive area. Don’t be afraid of wind! Use it to your advantage. Throw a moving bait into the wind! A lot of anglers believe that it is futile to fish when it is windy. But in fact, most professional anglers would say that some of their bigger bites happen when they fish on windy days. When you go fishing on a windy day, the light from the sun is actually reduced. This causes the phytoplankton’s (which the prey of the bass eat up) to go closer to the surface. When the prey of the bass eats these organisms, the bass will have a greater chance of following their prey when they are feeding. Furthermore, you can worry less about what bait you use when it is windy. As an angler, I’m pretty sure you also get worried that the bait or lure that you use would not be sufficient enough to fool or entice the fish into biting. But when the water is choppy from the wind, the movement covers up the bait that you drop. The fish cannot distinguish a good’ or bad’ bait. It will take up your bait, triggered by the movement it saw when it fell. Bass also get more active during overcast or windy days. When they get active, they will emerge from the deep water and stay more near the surface. Spawning Bass, who bites first? How do you get the whoppers off their beds? Spawning bass are highly territorial and protective of their eggs. This is especially true for the females who are spawning and guarding their eggs ferociously. Getting these females to leave their beds requires a certain kind of finesse on your approach because you need to understand the personality of the fish. Some fish, when they are very protective, will eat anything or attack anything that they feel is a threat. These types of protective fishes can easily be coaxed by dropping lures that mimic another fish that has plans of feeding on their eggs. Successful ways of doing this would be dropping in a shad nose-down. This makes it look like it is feeding on the eggs, and the female will take this as a threat and attack the bait. Another way of coaxing them out would be bed fishing the area where the fish is situated with their eggs. You can achieve this by using light Texas rigs or shaky heads. The only thing that you need to note when resorting to this is that you need a smaller plastic bait so that there is a bigger chance of them biting the hook. Stick with baits that have less voluminous skirts. For this particular method, having a sharp hook is necessary because you are using a rather light line and when the fish bites, you need to make sure that there are no break-offs. Indeed there are a lot of things to consider when fishing in grass. 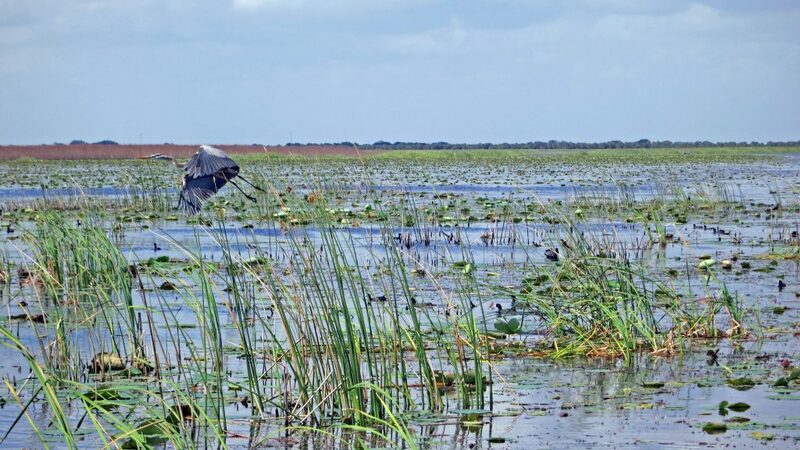 We must consider that aquatic vegetation is a boon to bass fishing. Despite bass going to banks for spawning, bass rely on aquatic vegetation also for a place that they can recuperate or even prepare before they spawn. To be versatile as an angler, these tips will help you in improving your fishing technique in all conditions and types of cover for fishing bass in grass.